This summer , it’s time for ODISHA to be DIGITALIZED. 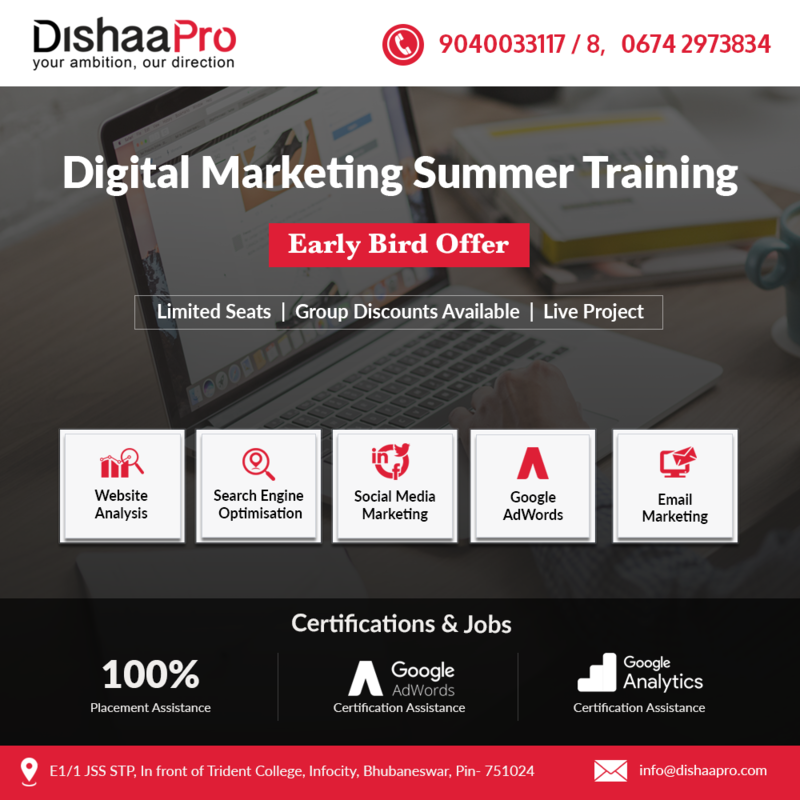 Join DishaaPro & Be a advanced and smart Digital Marketer! Get to know the latest digital marketing trends of 2018 and take your business to a new level. Who can join our course? ✔ IT Managers and Professionals who support various marketing activities. What you can do after successful completion of the course?